Catadman Lodge is a small and friendly place to spend a night to break your journey or just to get away from it all. 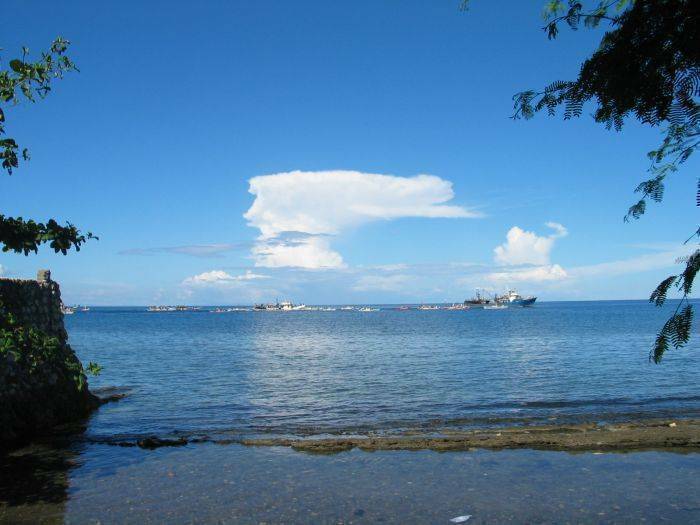 We are about 1 hours drive north from Cebu City and about 5 mins from the Danao port which has daily sailings to the Camotes Islands, with their resorts and white sand beaches and the city of Ormoc on Leyte Island. 15 mins up the road is the Republic Dry Dock with its boatbuilding and repair yards and The Port of Carmen where a ferry crosses daily to Isabel on Leyte. About 2 hours journey north will bring you to the scuba diving attractions of Malapascua Island and the resorts of Bantayan Island. We are located down a small access road off the main Cebu City to Danao City highway opposite Sabang Elementary School and close to the Ramon Durano Sr. sports complex. Just look for our sign and turn in at the small side road in front of El Salvador Resort. The lane is a bit bumpy but if you persevere were 150 metres north. We offer secure parking. The property is raised and the terrace looks over our garden to the beachfront so we are blessed with fresh breezes and a tranquil environment. Residents have access to the garden and beach. Clean, quiet, economy rooms by the sea. 8 ceiling fan rooms with shared CR. 2 fan rooms with own CR. 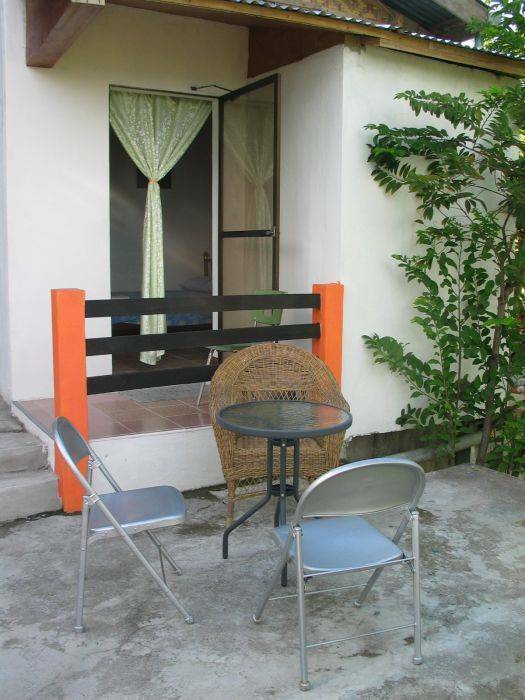 2 aircon rooms with own CR facing the sea. 24-hr front desk BBQ area Beach Bicycle rental Children permitted Express checkout Gardens Golf Historic site Icemaker Laundry/valet service Safe deposit box Smoking permitted Terrace. garden beach. Safe car parking. 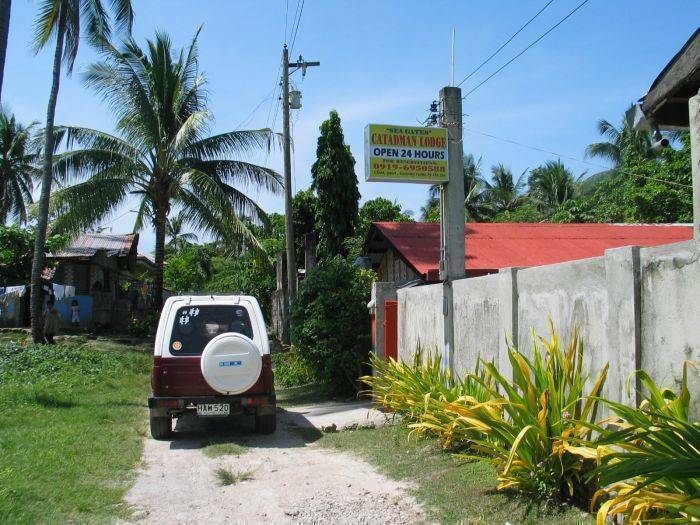 Quiet residential neighbourhood 150 m off the Cebu City - Danao City highway. 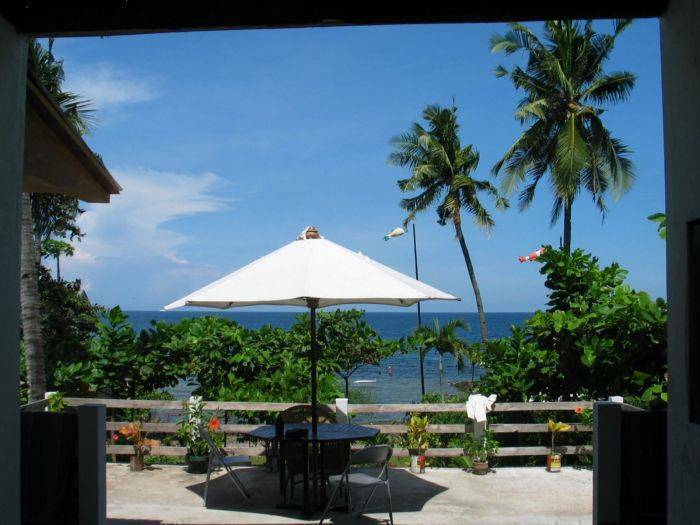 Property faces east over Visayan Sea with garden leading to beach. 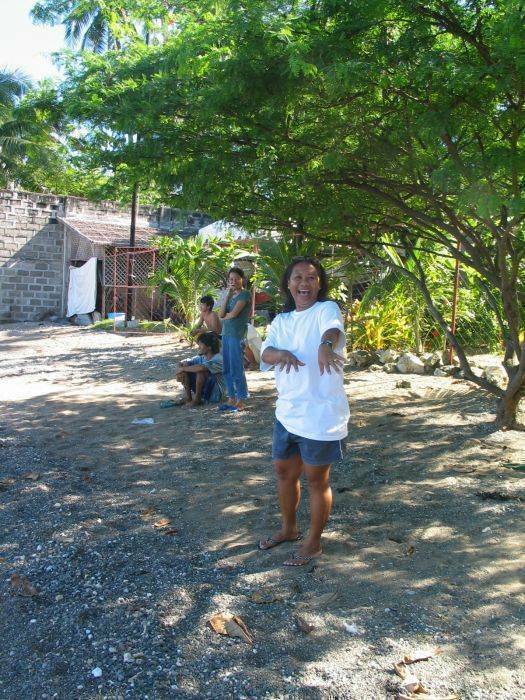 5 minutes walk from El Salvador resort where you can use the facilities eg. swimming pools for P150 per day. 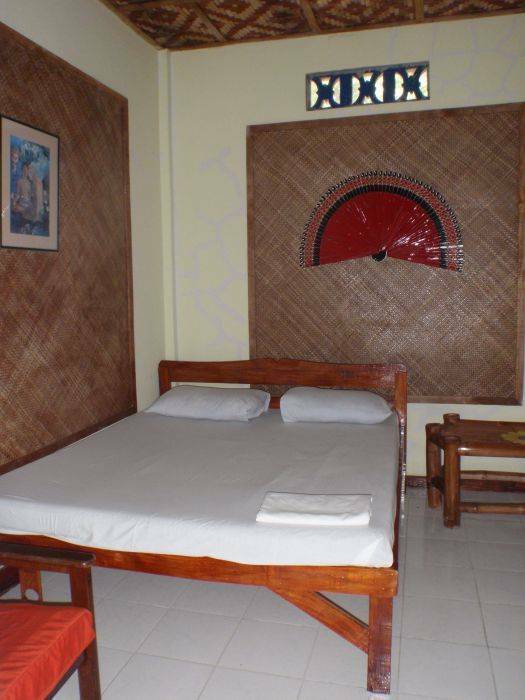 Also 5mins walk from Coco Palms resort and Water Park. Same time to Ramon Durano Sports Stadium. We are located down a small access road off the main Cebu City to Danao City highway opposite Sabang Elementary School and close to the Ramon Durano Sr. sports complex. Just look for our sign and turn in at the small side road in front of El Salvador Resort. The lane is a bit bumpy but if you persevere were 150 metres north. Bus 2hours from North bus terminal Cebu City. Tricycle 10 mins from Danao City port.